Getting flowers at the office is every girl’s dream, right? These short lines came to me today when my dear coworker received a bouquet of flowers in the office from a guy who is trying to win her back. It made me think of all the men out there that think flowers fix everything and I wanted to share some knowledge with them. Flowers should not say “I’m sorry”. 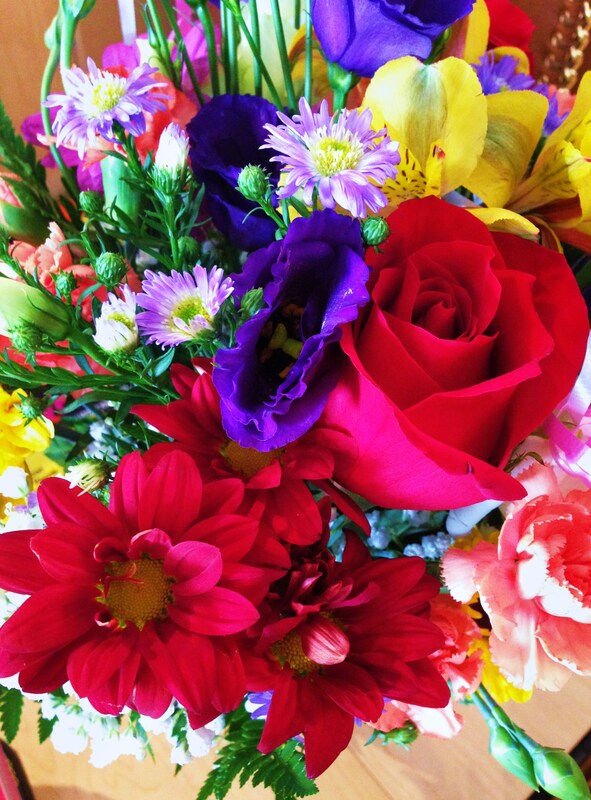 Flowers should say “I appreciate you, you make me smile and I want to therefore make you smile today”. Flowers should make you smile, not cause your heart to twist and sink. Dear men, don’t let flowers be the last resort. At least they’re pretty, right?